One of our lovely Customer Service Officers, Megan, decided to take the plunge at the weekend to get her long locks chopped off. Megan turned up to work this morning and surprised her fellow colleagues with her new look. Megan wants to donate her hair to a charity that helps to create wigs for cancer patients. This follows recent news of two members of staff being diagnosed with cancer earlier this year and both currently undergoing treatment. Over the next few months the team at No1 CopperPot will be doing their best to show support for these two members of staff. 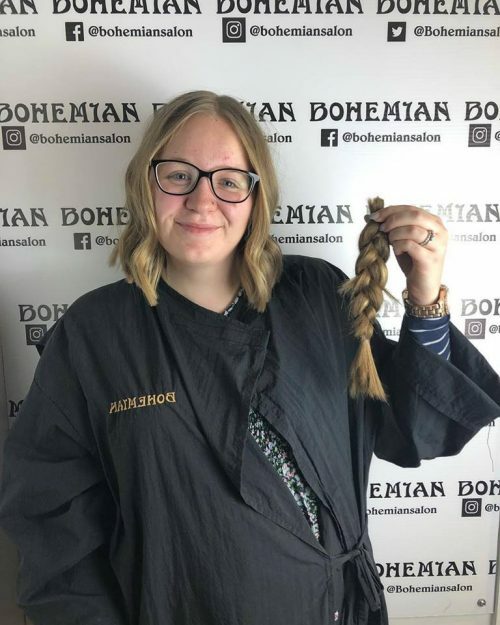 We’re very proud of Megan’s decision to donate something so personal to charity and we think her new hairstyle looks great!